Women continually desire proportionality and defined features for that stunning hourglass figure. Body parts such as the abdomen, thighs, hips, and one’s derriere play a crucial role in this balance. However, among of the most critical elements in this equilibrium are the breasts. There are many procedures aimed at getting the perfect or desirable size, with augmentations and implants proving popular. Breast size remains unaffected by healthy lifestyle choices such as a healthy diet and regular exercise. Considering that these are the conventional approaches to a fitter, healthier body with good proportion, the only sound alternative is cosmetic surgery. Cosmetic procedures have time and again proven incredibly effective in body sculpting. Breast reductions significantly reduce the adverse effects of improper proportion. Scarring remains a significant concern in this operation, demanding a tactful approach and an experienced hand. Self-consciousness either about size or surgical footprints such as sizeable scars isn’t good for your confidence, especially if you like the outdoors and would, for instance, love to enjoy the sun and sand of Chicago beaches freely. For the surgery to bring about the best result, you have to meet the minimum requirements for an ideal patient. The doctor makes this assessment when you come for the complimentary pre-op consultation. Has oversized breasts which caused medical problems such as physical and social discomfort or low self-esteem. It is important to note that the procedure is a viable option for younger women whose breast size causes significant pain and discomfort. For younger individuals, breasts must have reached maturity and ceased growing. For a stress-free process, one must avoid smoking for the recommended period before and after surgery. During the consultation, the doctor readily avails these critical timelines during the discussion. Smoking considerably increases the chances of complications occurring during or after surgery. It pays to understand how the procedure works because only then can one harbor realistic expectations and indeed find satisfaction in the outcome. It pays to understand the aspects of the procedure and the expected impacts on your life before making a final decision. In your initial discussion with the doctor, you get the opportunity to express your desires and expectations. The surgeon then has the chance to give a professional input, outlining all vital facts and timelines of the procedure. You get a more realistic outlook on the operation. It is during the consultation that you get crucial information about the risks involved in undergoing the procedure, as well as any possible complications. Long-term effects of the surgery form a component of this initial consultation. For peace of mind, you also get to understand some of the precautionary measures put in place to keep these concerns in check. The scarless reduction is not for slender women with oversized breasts or cases of extensive sagging. Remember, however, that the doctor makes the critical assessment and ascertains your suitability for the procedure. Each case is unique in its way. We provide tailor-made solutions for everyone as each person has a different body type owing to genetic factors. The initial evaluation helps the doctor determine the best approach to produce your desired size and look. Scarless breast reduction involves the use of liposuction to reduce the size of your breasts. Employing this approach means the decrease in fat levels in this region of your body. Liposuction is a minimally-invasive technique. This approach works perfectly, particularly for women with more fatty than glandular tissue. Liposuction also produces excellent results for men with gynecomastia or excess fatty tissue in the chest. Liposuction begins with the administration of local anesthesia in the area under treatment. This initial step causes numbness in the region, with the patient remaining comfortable while under a mild sedative. Tiny incisions facilitate the use of a micro-cannula to access the fat under the surface. Heat liquefies tissue under the surface for easy suctioning. The small fat lobules under the surface are suctioned to bring about shapely, smaller, and perkier breasts. Liposuction is minimally-invasive, making the recovery period short. You may have a demanding schedule either at home or at work. Long recovery periods may have an unwanted effect, forcing you to postpone, cancel, and delegate tasks you would preferably have personally done. Recovering from Scarless breast reduction takes a short period, enabling you to resume lighter duties in a couple of days or so. However, this duration varies between individuals due to genetic variations. We provide a compression garment after surgery. The protective brace keeps the bosom in place as it heals to bring out that size and shape you desire. As your body heals, carefully observe the doctor’s instructions to avoid complications at this stage. Of crucial importance is the compression garment, and this must remain on for the prescribed period. Remember to get enough rest during the recovery period, avoiding heavy tasks for at least two weeks or for as long as the doctor instructs. The weight of oversize breasts causes physical pain. The most affected areas include the back, neck, and shoulders. The breasts themselves feel the strain too. Physical pain or discomfort can significantly complicate your life, with the aches sucking the joy out of your days. The extra weight may also result in spinal problems. A reduction cuts that extra pressure and the pain and discomfort ceases to be a concern. Oversized breasts may also impede your breathing among other health complications. Labored breathing is at times unbearable, and the reduced circulation causes you to strain at relatively easy tasks and tire quickly. Breast reduction reduces the strain and frees you to perform your duties with minimal stress. Breast size causes undue attention, and larger-than-average sizes tend to attract the most looks. You may want to go about your days with minimal stares, and this additional attention brings about considerable discomfort. With a reduced cup size, you easily blend in and no longer feel the discomfort stemming unwanted stares. The reduced breast size takes the weight off your shoulders and adjusts your posture. It is easier to assume a real upright look with minimal hunching due to the extra weight. This stance is a bold and confident look, helping add some energy and drive into your life. A better look results in improved confidence, and you get to truly enjoy a life free of anxiety due to your breast size. There are many more benefits of Scarless breast reduction, but these are the main ones. 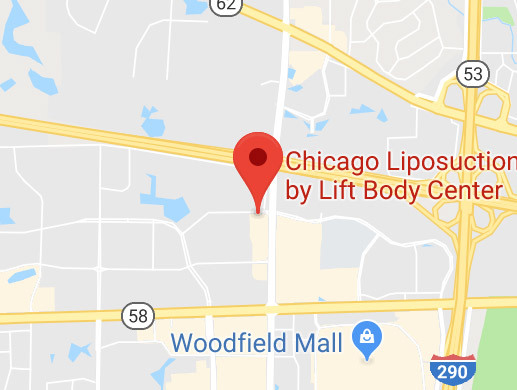 Chicago Liposuction and Specialty Clinic is one of the leading clinics in cosmetic surgery, and we pride in putting our patients first and helping them realize their dream looks. We expertly use the latest technology to give you that natural, contoured look. Call us today and book your complimentary consultation.